You will be charged $7.95 for shipping and handling through a carrier of our choice (usually USPS Priority Mail or UPS). We ship from Southern New Hampshire. Shipping time will vary from next day (shipping to Northern New England) to 5 business days shipping to West Coast) depending on where it is being shipped to. Please call us at 1-866-758-0655 for rates. We usually engrave your items within one business day, so asking for RUSH won''t affect the production of your item. But RUSH shipping WILL affect your bill. The carriers all charge VERY high rates for getting something to you within two days. When in doubt: CALL first! 1-866-758-0655. Your order will be shipped from Southern New Hampshire. The closer you are to New Hampshire, the sooner you will receive it. If we ship it USPS you should receive it within 3 days. If we ship it UPS it can take up to 5 business days. As soon as your package is shipped we will notify you of the carrier we used. Remember that most items are shipped in 1-2 days (if we can't meet those times, we will email you). If everything goes well, you should not have to wait more than 10 days for your order. When your package is shipped UPS you will receive a tracking number from us when the order is shipped. We have found USPS tracking numbers to be not very helpful. 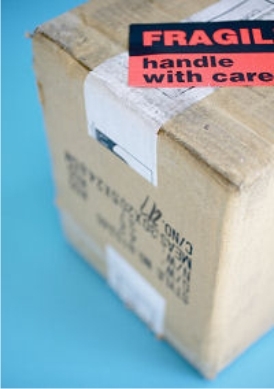 If your package was damaged in shipment by the carrier, save the box, packaging material and merchandise. Notify us immediately at 1-866-758-0655 or email us. We will replace the item and may have the carrier pickup the damaged items and packaging from you. Remember if you have a Post Office Box, please provide your physical address for UPS delivery of heavier items. If you have any restrictions, please let us know. Please call us or email us.if you have any questions about your shipment.